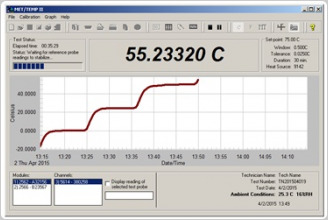 MET/TEMP II software enables you to easily automate the calibration on a wide range of temperature sensors. It provides a comprehensive temperature calibration solution for testing batches of sensors, calculating characterization coefficients and printing calibration reports. You can standardize comparison or fixed point calibrations, and use multiple temperature sources or references in a single test. Version 5 updates the popular MET/TEMP II software by offering compatibility with the Microsoft Windows® 7, 8 and 10 operating systems and including support for the 9190A Ultra-Cool Field Metrology Well and 9118A Thermocouple Calibration Furnace. MET/TEMP II fully automates batch calibrations of your platinum resistance thermometers (PRTs), thermistor and thermocouple sensors, freeing your time for more important tasks. You can be confident your results are consistent no matter who does the job since MET/TEMP II monitors and controls the calibration process. MET/TEMP II handles a wide range of temperature sensors. It can calibrate thermocouples, RTDs, SPRTs, thermistors, and even liquid-in-glass (LIGs), bi-metallic thermometers, and connected sensors that can’t be attached to a readout. Virtually any sensor with a resistance or voltage output can be tested, up to 100 sensors at a time. They don’t even have to be the same type. You can select up to 40 temperature points for testing your sensors. Manual temperature sensor calibration is expensive, time consuming, and error prone. It takes roughly four hours to calibrate a sensor at three points, then another hour for paperwork to document the temperature data and to create the certificate. And your results may vary depending on the technician doing the calibration. There’s a better way. 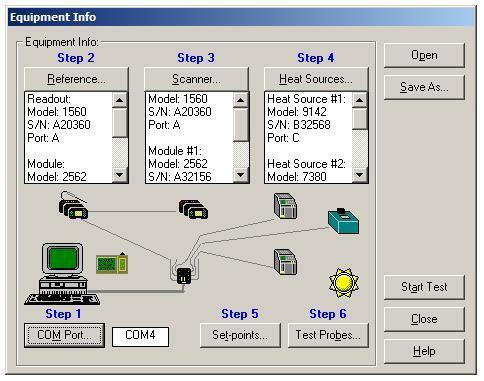 With MET/TEMP II software, simply place your test sensors in a heat source, connect them to a temperature readout, enter your setup information, and start the test. Later print out the reports, sign them, and ship the sensors back to your customer. You and your customers will love the fast turnaround. It’s your choice. Spend hours handling temperature sensor calibration manually. Or get consistent, repeatable measurements in just minutes with MET/TEMP II. MET/TEMP II v5.0 is an updated version of trusted, well-known software that easily connects to your Fluke Calibration equipment. 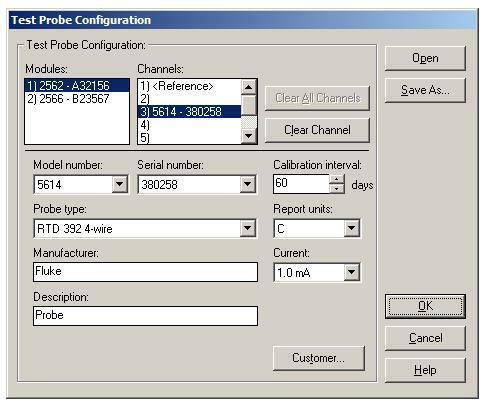 Hundreds of customers worldwide use this software in their calibration labs. Version 5 maintains the structure and work flow that users know and like. The MET/TEMP II user interface guides you through configuring/running a calibration test, calculating sensor coefficients, and preparing a report of calibration. Calibration professionals of all levels will can easily learn and benefit from the time saving features of MET/TEMP II software. You may calibrate most of your secondary standard sensors against a reference sensor or against calibrated heat sources. But do you need a higher level of accuracy than a comparison calibration can give you? MET/TEMP II can calibrate your secondary standard or primary standard sensors using fixed-point cells. If you prefer, MET/TEMP II lets you combine comparison and fixed-point cell measurements during the same calibration. You can also do a triple-point of water measurement before and/or after your comparison points. Would you like to calibrate your heat sources also? MET/TEMP II can perform heat source calibrations for Fluke Calibration dry-wells and Micro-Baths. Perform calibrations using a variety of digital thermometer readouts, from handhelds to high-precision bench-top models, and an assortment of heat sources including dry-wells, Metrology Wells, Micro Baths, calibration baths and furnaces. MET/TEMP II can log ambient temperature and humidity automatically during calibration using the 1620A “DewK” Thermo-Hygrometer. MET/TEMP II maintains all test equipment information and calibration status in a database, as well as unit under test (UUT) sensor information including customer names and address, which are used when printing reports. 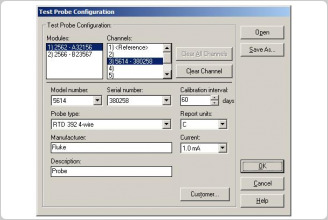 MET/TEMP II can also interface with the Fluke MET/TRACK® database. The Coefficients and Tables utility calculates characterization coefficients for PRT, thermistor, and thermocouple probes. The types of coefficients that can be calculated are ITS-90, IPTS-68, Callendar-Van Dusen, and polynomial functions for PRTs; polynomial for thermistors; and coefficients for thermocouple types B, E, J, K, N, R, S, T, and AuPt. Characterization coefficients and test data acquired by MET/TEMP II can be exported to a text file. Are you concerned about the quality of the data acquired from a questionable sensor? The Coefficients and Tables utility calculates residuals at each set-point to give you an indication of the quality of the data used to characterize the sensor. After you have characterized a sensor, you can generate temperature versus resistance, temperature versus ratio or temperature versus voltage interpolation tables using the calculated characterization coefficients. Interpolation tables can be printed as part of the report of calibration, or exported to a delimited ASCII text file for importing into other analysis software. MET/TEMP II produces reports of calibration compliant to ANSI/NCSL Z540.3. Note: A number of discontinued Fluke Calibration instruments are also supported by MET/TEMP II. Please contact an authorized Fluke Calibration Service Center if you have a question about equipment supported by MET/TEMP II v5.0. 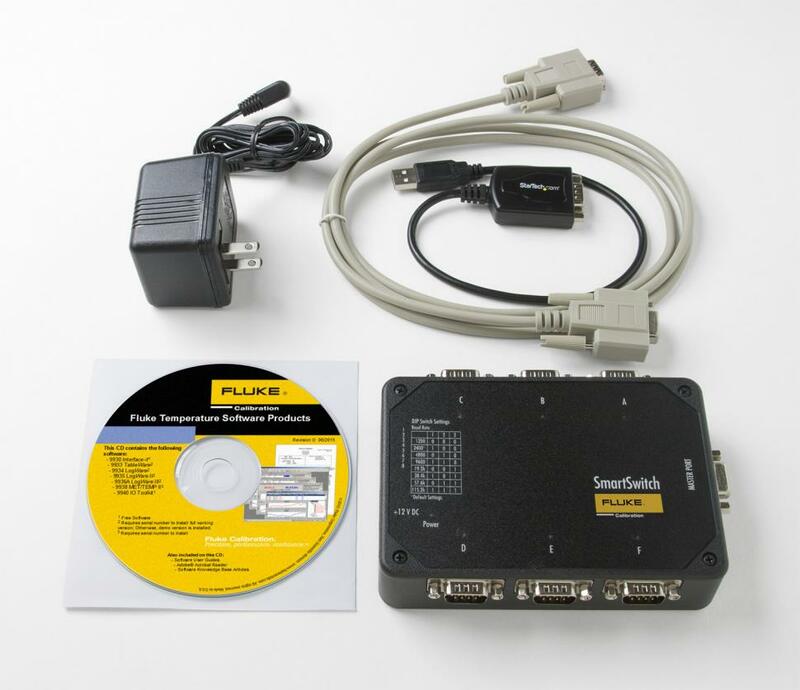 Note: The MET/TEMP II V5.0 Software Upgrade (9938-V5-UPG) does not include the SmartSwitch, AC adapter, RS-232 data cable, and USB to RS-232 adapter. It requires use of existing MET/TEMP II equipment. Up to 6 null modem cables to connect test equipment to the SmartSwitch ports. 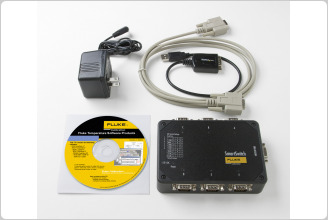 Note: RS-232 null modem cables come standard with Fluke Calibration temperature sources and thermometer readouts. They do not need to be purchased separately unless they have been lost or damaged.